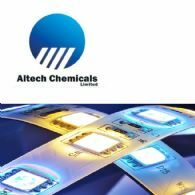 Altech Chemicals Limited (ASX:ATC) (FRA:A3Y) is pleased to announce the successful completion of an A$18.0 million (before costs) share placement. 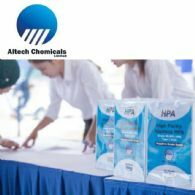 Altech Chemicals Limited (ASX:ATC) (FRA:A3Y) is pleased to advise of a successful inaugural investor and stakeholder visit to the site of the Company&apos;s high purity alumina plant in Johor, Malaysia. Stage 1 construction of the HPA plant commenced in late February 2019 and attendees were able to observe first-hand the progress made during the short ~9-week period since the initiation of site works. The Directors present their report on Altech Chemicals Ltd (ASX:ATC) for the half-year ended 31 December 2018. 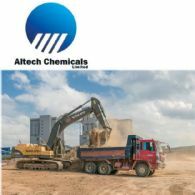 Altech Chemicals Limited (ASX:ATC) (FRA:A3Y) is pleased to provide an update of activities at the Company&apos;s high purity alumina project site in Johor, Malaysia, where Stage 1 construction is progressing as planned. Altech Chemicals Limited (ASX:ATC) (FRA:A3Y) is pleased to announce that it has officially mandated Macquarie Bank as the preferred mezzanine lender for its proposed Malaysian high purity alumina plant. 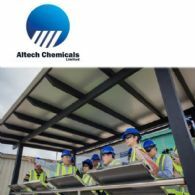 Altech Chemicals Limited (ASX:ATC) (FRA:A3Y) is pleased to advise of its participation in the Executive Insights Virtual Conference, where Managing Director Iggy Tan will provide a company update. Altech Chemicals Limited (ASX:ATC) (FRA:A3Y) is pleased to provide an update on the transition by lithium-ion battery manufactures to high purity alumina coated battery separator sheets, as is apparent from recently announced quarterly sales data by Japanese separator sheet manufacturer W-Scope (6619 JT) and from Altech&apos;s recent attendance at the Battery Japan 2019 conference, held in Tokyo.